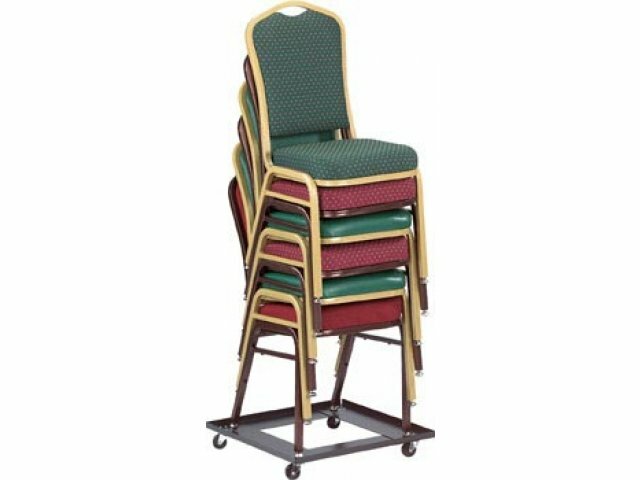 This stack chair dolly can easily move eight to ten typical stack chairs. Powder coated in black, this dolly is equipped with four two-inch casters. 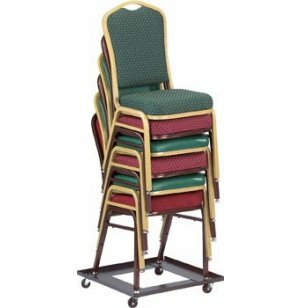 Compact: Square construction makes it easy to transport 8-10 stacking chairs. Convenient: Equipped with four 2" casters. Dimensions: Center hole is 12" x 12"